AgriSteel, a leading fabricator of agricultural steel buildings, provides design, engineering, fabrication and construction management services. Learn how building with AgriSteel is truly a unique experience. AgriSteel traces its roots to Green Bay, Wis., when it began as a division of Bayland Buildings, a commercial design/build general contracting company. Steve Ambrosius founded Bayland in 1991 with an emphasis on quality being a top priority in the business’ finished product. Duane Ambrosius, Steve’s brother; who founded Bayland’s agriculture division in 2002, had a vision to grow the company by making the experience of buying and building an AgriSteel building truly unique. Ambrosius’ vision came to fruition—the division grew into the leading fabricator of agricultural steel buildings. It became its own entity in 2013, the year it began selling building packages outside of Wisconsin, thanks to the demand from producers who sought the company’s durable design. Today, its buildings are constructed by contractors throughout the United States and Canada. AgriSteel provides a seamless range of services, from custom design building packages to construction management on the building site. 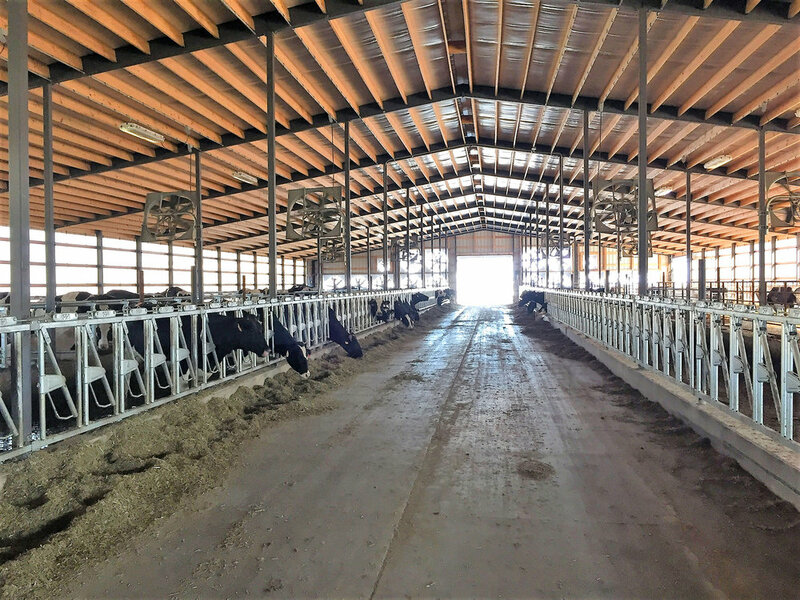 Design: We offer custom designed dairy buildings and cattle barns. 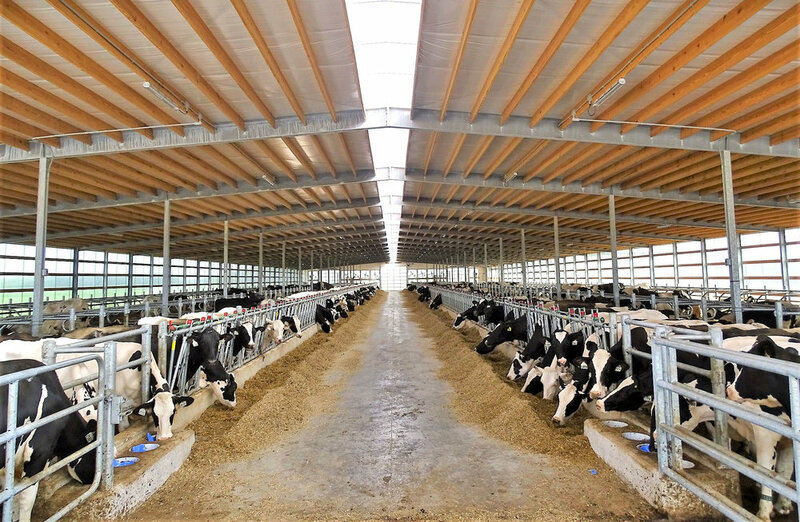 Whether you choose a dual slope or monoslope building, you’ll be assured the design will maximize cow comfort. We bring the outside in for a healthier herd and happier employees. Engineering: Our agricultural steel buildings are more durable thanks to engineered all-steel frames that are all structural steel members. Our engineers ensure our barns are designed to a higher standard than local codes to withstand extreme weather conditions. Fabrication: Our agricultural buildings are fabricated with the highest quality and most durable products. Our goal is to give your customer the strongest building at an economical cost that will be used by many future generations. Construction Management: Construction contractors that purchase an AgriSteel building package will have the option to add Bayland Buildings’ construction management services to the project. With decades of experience in construction management, Bayland has perfected managing multiple building projects on one site. This is especially valuable when you are constructing multiple farm buildings on one greenfield space. These services help keep the project on time and in budget. An on-site construction manager will also help negotiate with suppliers and subcontractors. To stay informed on building trends and technology, AgriSteel uses MBS- Metal Building Software and Advances Steel Software. These programs ensure the building is designed and engineered more accurately, efficiently and economically. We have an ongoing safety program through which we conduct weekly safety meetings and educate employees about the latest updates to OSHA policies and procedures. These practices ensure our buildings are designed, engineered and fabricated to the highest safety standards. If you’d like to learn more about becoming an AgriSteel Dealer or purchasing an AgriSteel building, complete the contact form or call 920-606-9549.